The link below is to an mp3 recording of a live presentation I gave to the Life Group of a local evangelical church in my local community of Sioux Falls, South Dakota. The Life Group meeting gave me the opportunity to offer my viewpoints on current geopolitical events from the perspective of latter-day biblical prophecies. It was a very wide-ranging meeting and it also included responses to many audience questions on various prophetic subjects. This Life Group meeting was held at the end of November 2016 so it took place after the American presidential election, but before Donald Trump took the oath of office to become the current US President. Besides including updates of the primary topics I address in my website’s articles and posts (the pending fall of Babylon the Great, prophetic prospects for the USA and the EU, the eventual arrival of the Two Witnesses, etc. ), the audio link includes my responses to many questions and comments by members of the Life Group. The recorded message also includes some in-depth discussion of possible biblical explanations for such phenomenon as UFOs, “aliens,” etc. Many cable-TV documentaries on various scientific themes I’ve seen have heavily promoted the theory that outer-space aliens with advanced technologies founded human civilizations on the earth in our planet’s distant past. As you will hear on the recording, there is a literal (but largely not appreciated) biblical explanation for the many instances of highly-advanced ancient technologies being found and documented in many locations around the world. It involves possible connections between the pre-Flood world of Noah and our modern times and technologies. Jesus Christ foretold that the latter day civilization of mankind on earth would mirror the pre-Flood world of Noah’s time (Matthew 24:37), and this recording includes how God may have allowed certain events to occur in a way that would cause Jesus Christ’s prophecy to be fulfilled. The meeting was very lively and interesting and the Life Group members had many insightful comments and questions. It is a lengthy audio message (2h 12m) which covers far more topics than what I have briefly cited above. I apologize if the questions or comments from audience members are not clear on the recording as the microphone was near me on a table and not in the audience. However, the subject matter of each question can be inferred from my responses. 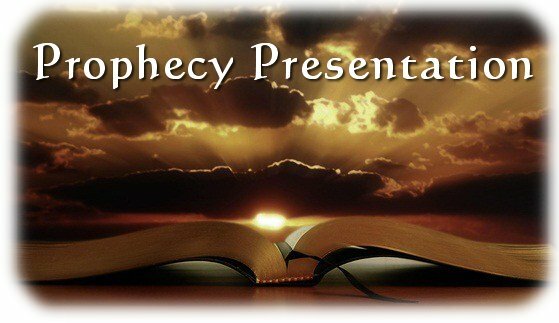 I thought that there would likely be readers of my blog who would like a current, audio message offering a presentation of my views on biblical prophetic subjects in far greater depth and detail than can be put in articles or blog posts. Finally, I would like to mention that the Life Group sponsoring this meeting is part of the ministry of Church at the Gate in Sioux Falls, South Dakota. For years I was involved with the varied activities of Church at the Gate and participated in various of its many Life Groups on a wide variety of subjects. If any reader desires to attend an evangelical Christian church with a contemporary format and you are within driving distance of Sioux Falls, South Dakota, I would recommend this church to you for your consideration!